In 2013, the Minnesota Legislature passed a law (325 F.731-35) requiring all persons who buy or sell precious metals including gold, silver and platinum to be licensed by their county auditor where they reside/do business. 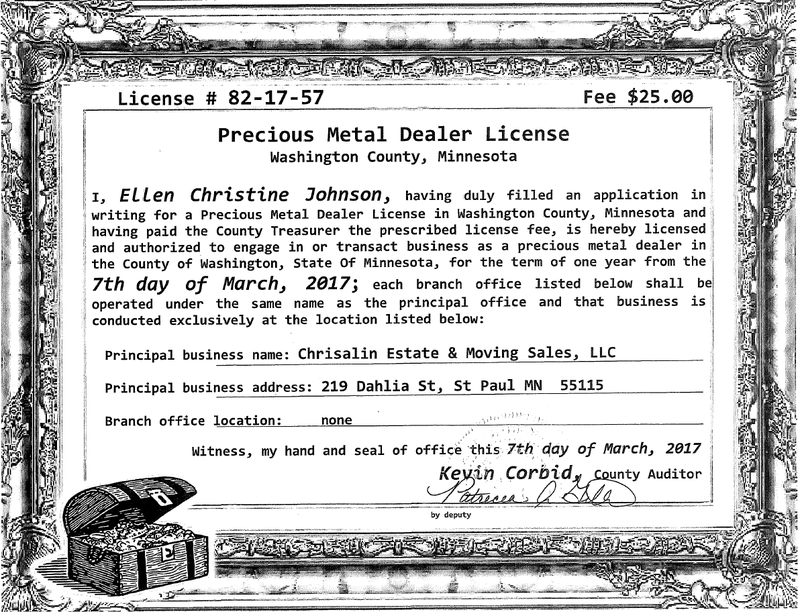 Ellen Johnson has a precious metals license signed by the Washington County Auditor. She also has a business account with Elemental Metals, one of the largest metal refining companies in the U.S. By asking Chrisalin to sell your precious metals, you will receive a higher rate of compensation than through a jeweler. 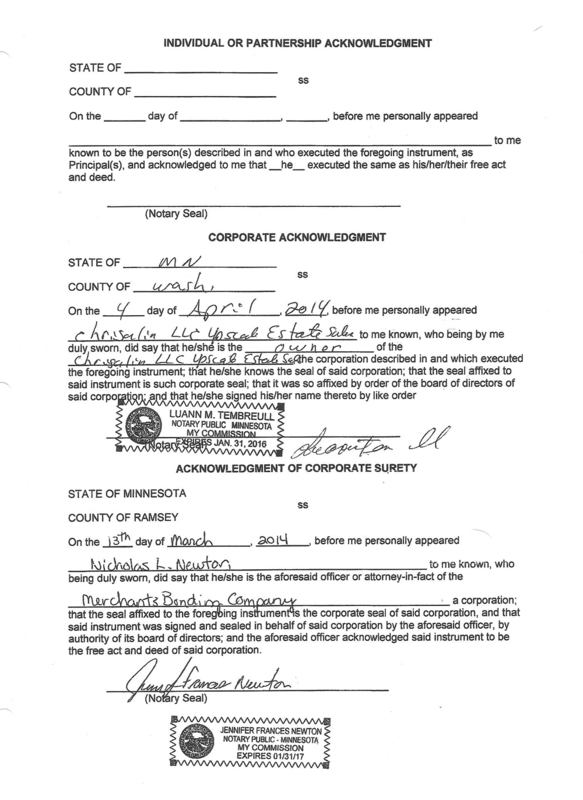 In 2013, the Minnesota Legislature passed a law (Chapter 60-H.F. No. 131) requiring estate sale companies to post a $20,000 bond to protect the heirs of the personal property being sold if the company should fail to pay them. This surety bond must be filed in the estate sale company owner’s county of residence. 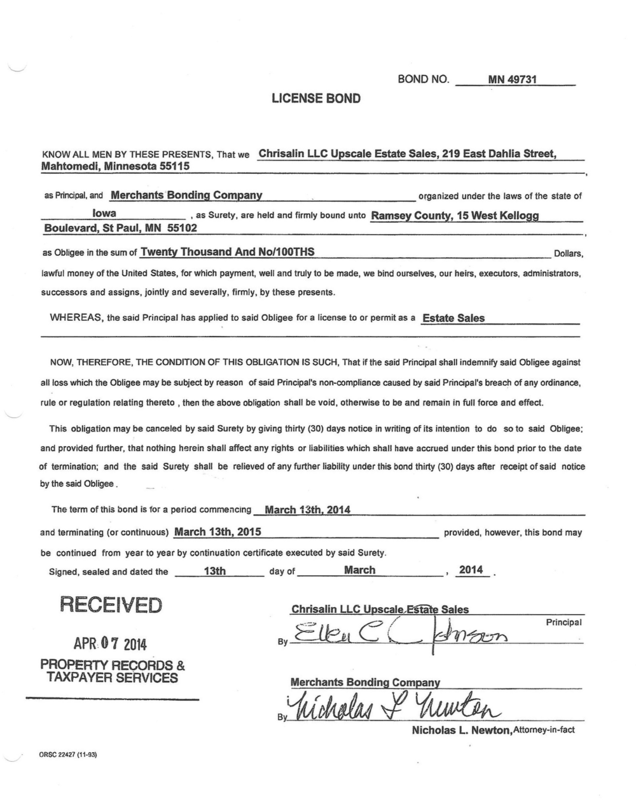 Each year, Chrisalin posts its surety bond in Washington County, complying with the new state law. 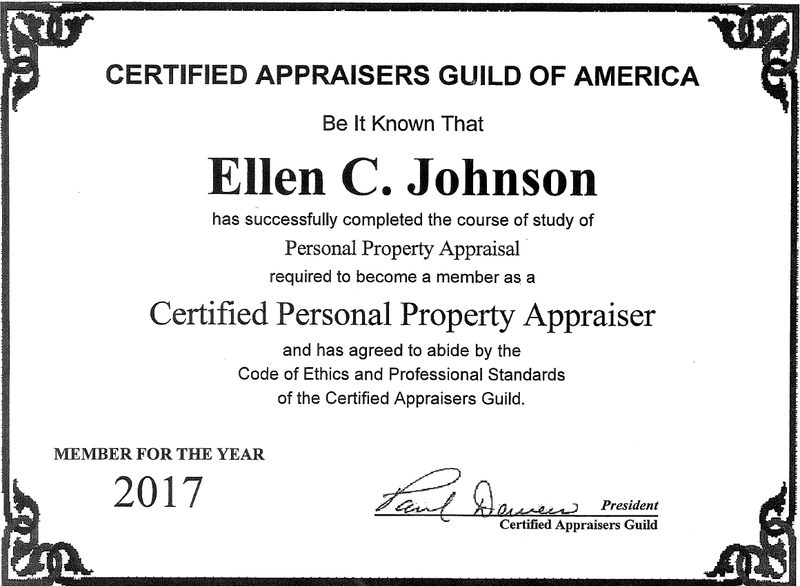 Chrisalin is an accredited member of the Better Business Bureau of Minnesota. We are committed to ethical business practices and have an A+ rating.